We're back with SOL Sessions Vol. 5 featuring DJ Jeremy Sole from Los Angeles, CA. 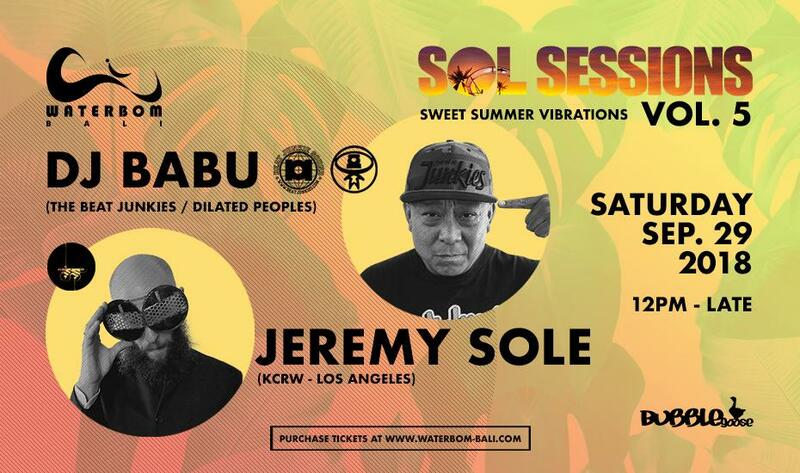 At SOL Sessions world renowned DJs deliver sets that vibe with the tropical surrounds of our park accompanied by festival food and night slides. The session will also feature a watermelon volley tournament (with prizes), a botanical adorn, and the Coconut Ninja (rum optional!). Tickets are available on our website www.waterbom-bali.com or at the park's ticket counter.